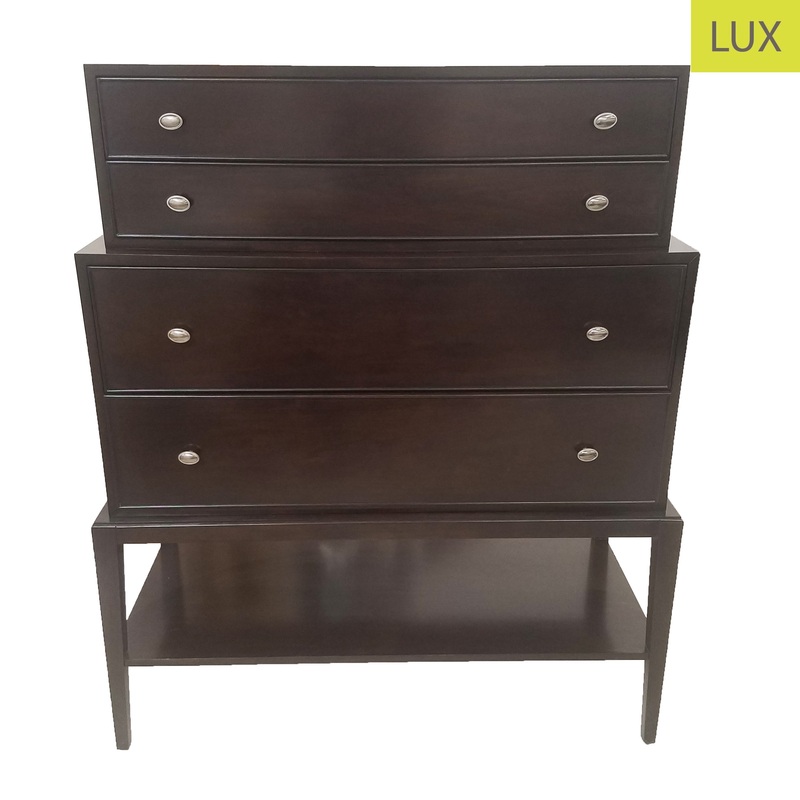 A beautiful four drawer chest with a stepped shape and tapered legs in an espresso brown wood. A great addition to a bedroom, hallway or dining room. 43.75" x 20" x 52"